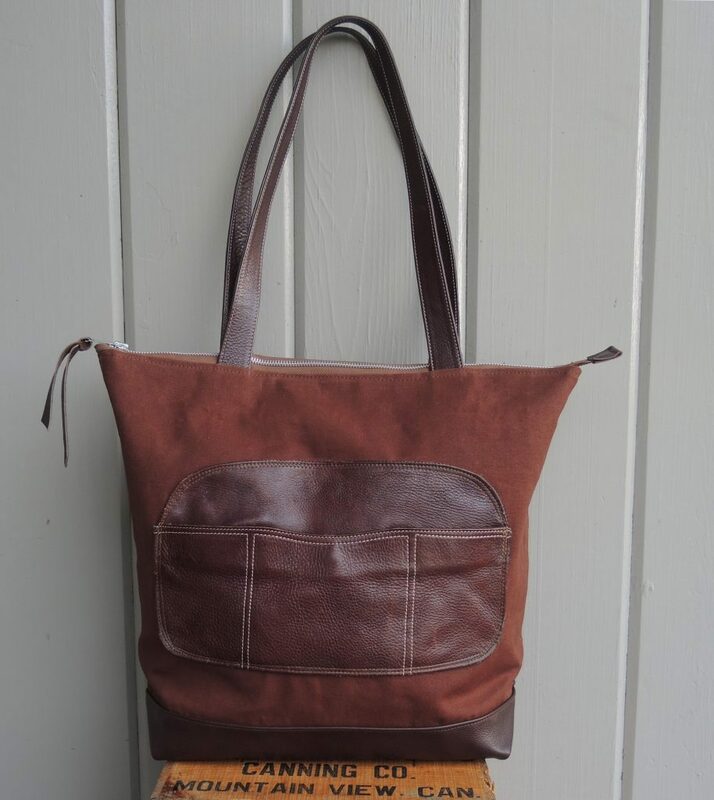 When I can, I like to repurpose leather handbags, using them in new creations. 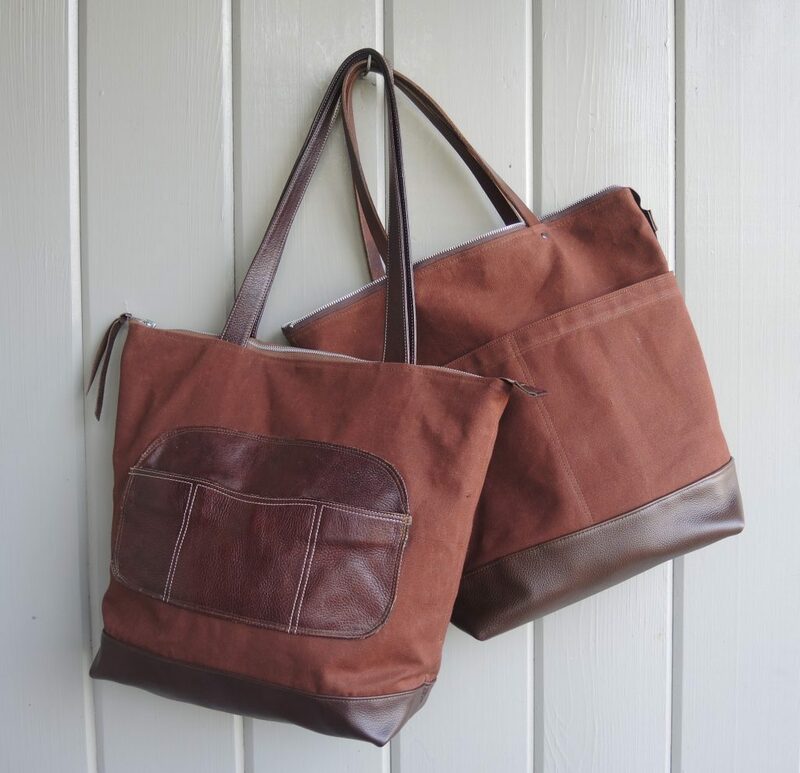 The second tobacco waxed canvas tote has straps and front pocket which are having a second life. The front pocket has a magnetic closure and there are two large pockets inside. 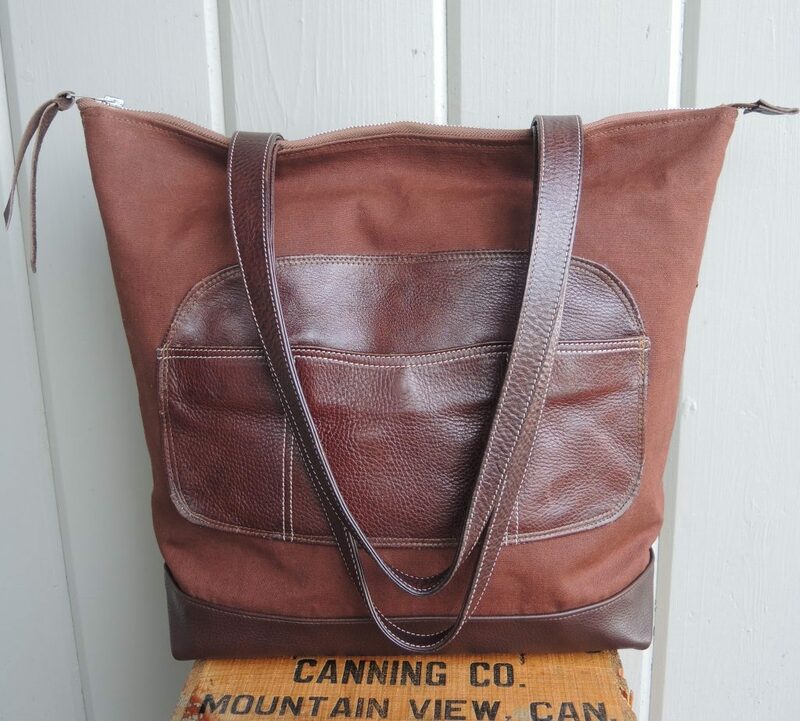 The bag is fully lined in heavy cotton and has a metal zipper closure. 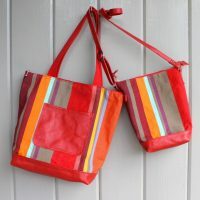 Both these totes are great for travel or everyday toting of books, groceries, art supplies etc.